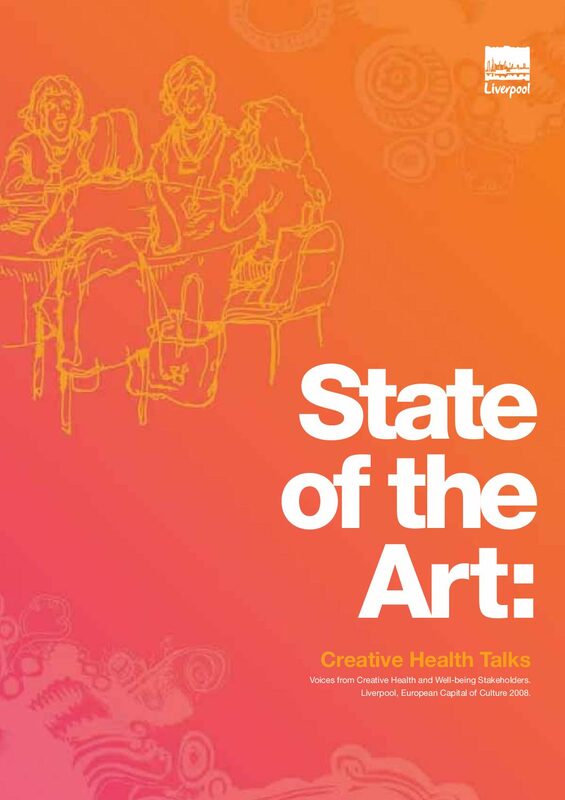 This State of the Field Report offers information about progress in the field since a 2003 symposium, hosted by the National Endowment for the Arts (NEA) and the Society for the Arts in Healthcare, which resulted in recommendations and a strategic direction to advance the arts in healthcare. 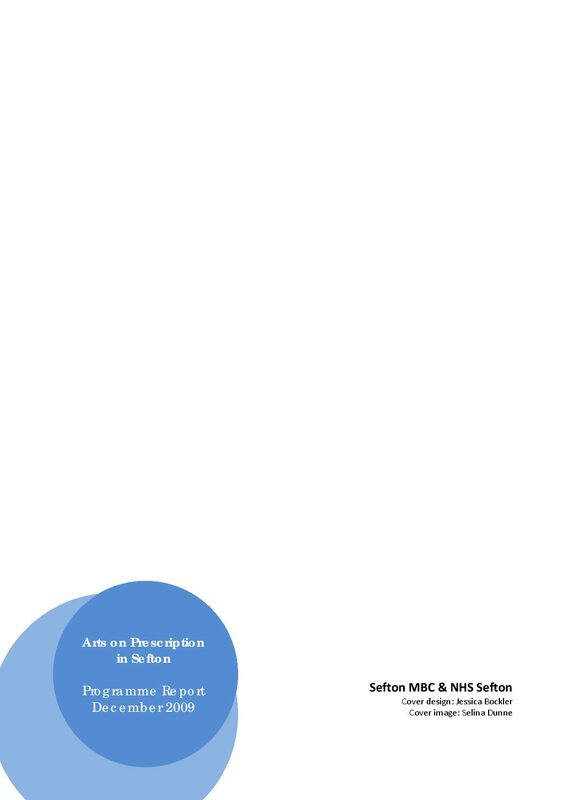 Guidelines for good practice for artists and healthcare professionals engaged in participatory arts practice in healthcare contexts in Ireland. An essay produced as part of the Vital Signs conference in Dublin, reflecting upon five Arts and Health projects. 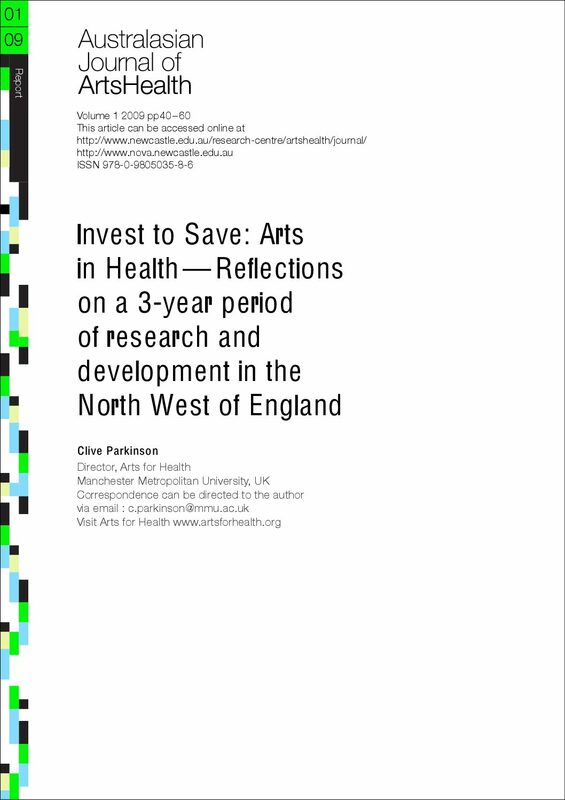 A reflective account of a three-year research and development project in the North West of England, exploring the impact of creativity, culture and the arts on public health. 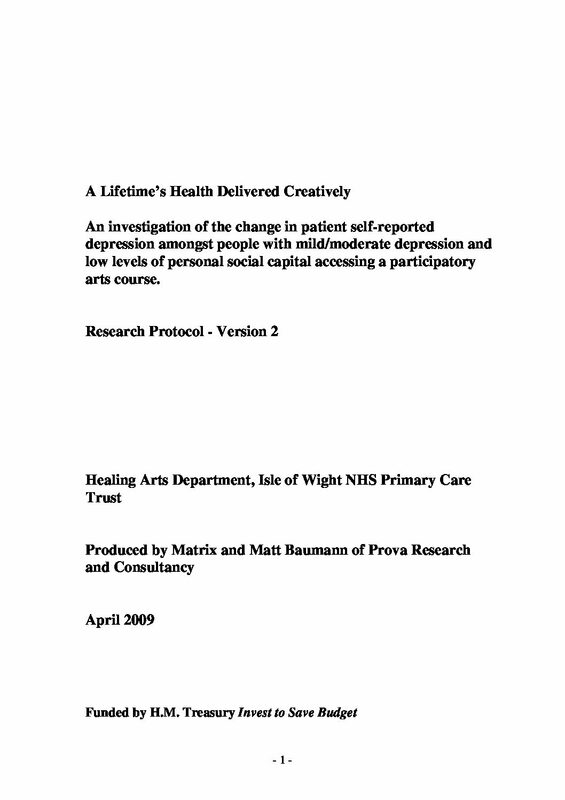 An investigation of the change in patient self-reported depression amongst people with mild/moderate depression and low levels of personal social capital accessing a participatory arts course. 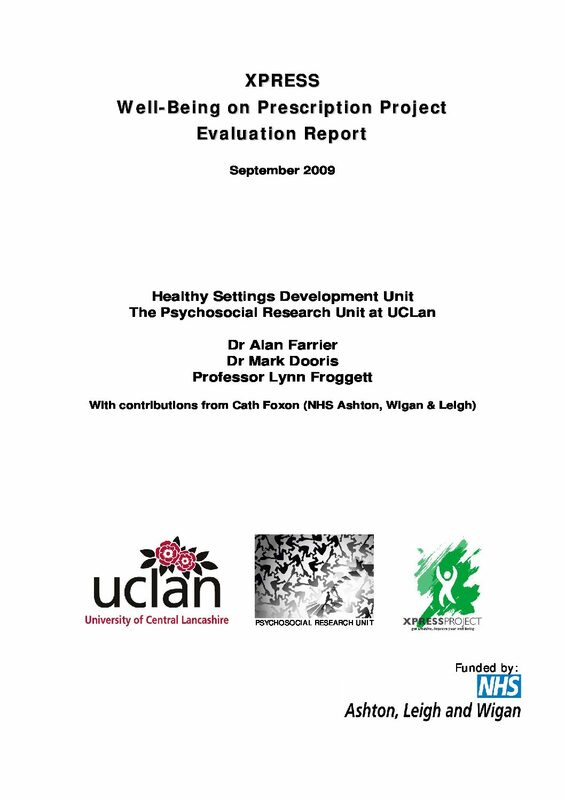 An independent evaluation by the University of Central Lancashire (UCLan) of a ‘Wellbeing on Prescription’ project for participants with mild to moderate depression. This Action Plan describes collaborative action between the Welsh Assembly Government and Arts Council of Wales to benefit and enhance the health and wellbeing of the population of Wales through arts and creativity. North Kent Local Authorities Arts Partnership (NKLAAP) developed dance 4 your life, (a dance research project), and commissioned a team of Dance Scientists and Researchers from Laban to assess the impact and potential health benefits of a dynamic contemporary dance programme on young adolescents. This report shows the role culture had to play in relation to the European City of Culture in Liverpool 2008: from creative health and wellbeing stakeholders. A report identifying arts organisations priorities when considering the potential of Arts & Health delivery, research and evaluation in the East Midlands.